Entrepreneurs need tools that enable them to be efficient and effective. 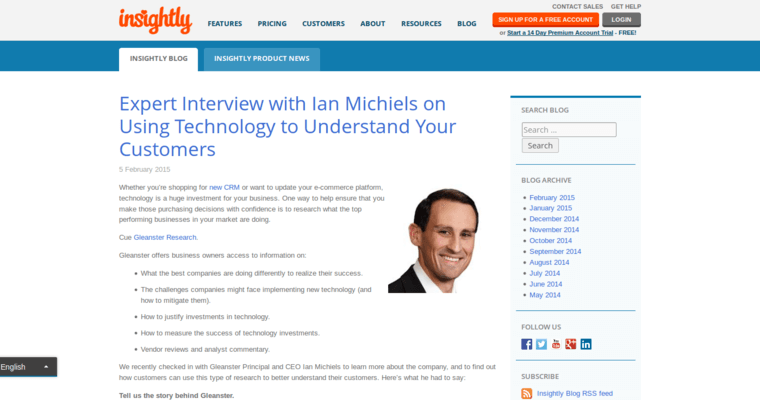 In the CRM arena, Insightly is one such tool. Startups who choose Insightly avail themselves of the same fantastic tool used by booming brands and established enterprise-sized outfits. 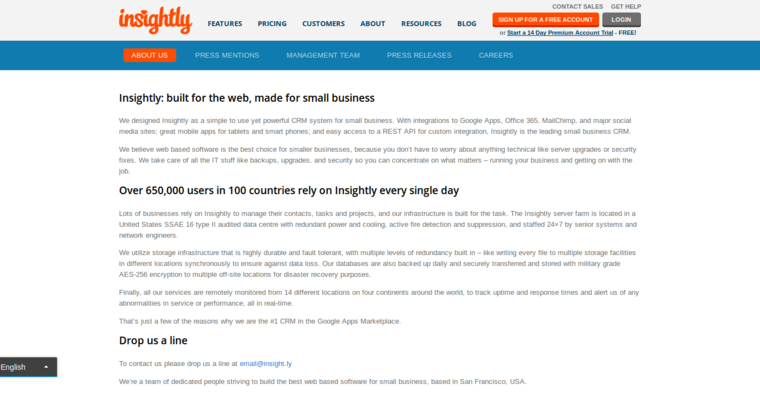 Insightly was established in online customer relationship management's earliest days, and its makers use their experience to continually evolve this exceptional tool. 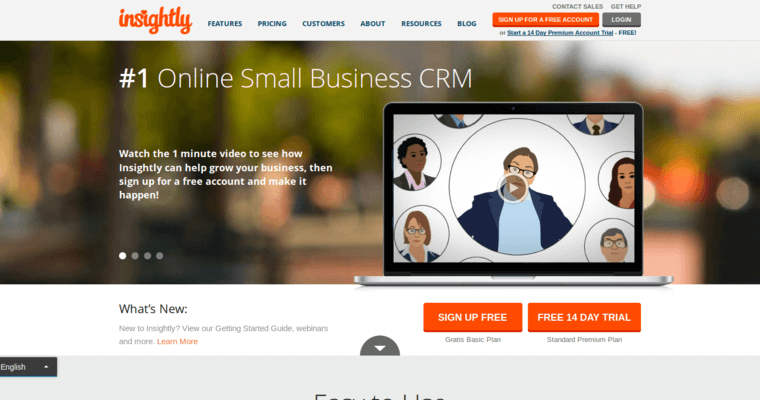 This excellent CRM tool uses features and optional integrations that allow users to move faster than their competitors and do the necessary work to gain investment, whether it is from the venture capital world or the founder's savings account. Insightly offers prospects a lot of info on its website that can help them decide whether to start an account with the company. The info includes white papers and lists of types of companies using Insightly, and interested parties can also try out a free trial on Insightly's website.